Wedding is a very special day for newlyweds. It is customary for the best man to prepare a wedding speech, and these moments are considered very emotional. When the younger brother Anthony received this task, he dealt with it a slightly different way than we used to. 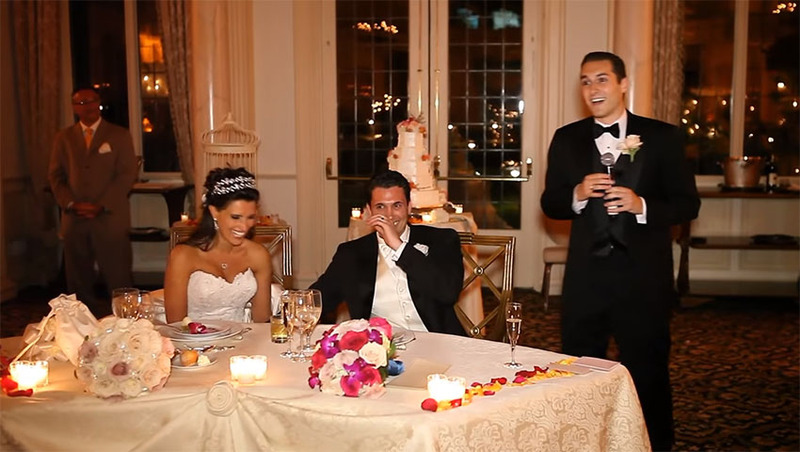 There was no shortage of laughter in his wedding speech! He had a notes with him, on which he had written a speech, but in reality he did not need the notes at all. He performed his duty with excellence. Already at first glance, it seemed that the groom and his best man were brothers. At the wedding, the guests applauded, screamed and wept tears during his speech. Many have pointed out on the web that this is one of the best speeches at the wedding, and more than a million people have already watched the video. During his speech, Anthony said that he immediately knew when his brother George met his soul: "That moment came for George 25 years ago when he met me." There was a lot of similar funny quotes in his speech, and guests could only laugh at the wedding. Listen to what kind of speech Anthony prepared for his brother George and his lovely soon-to-be wife Nicole!